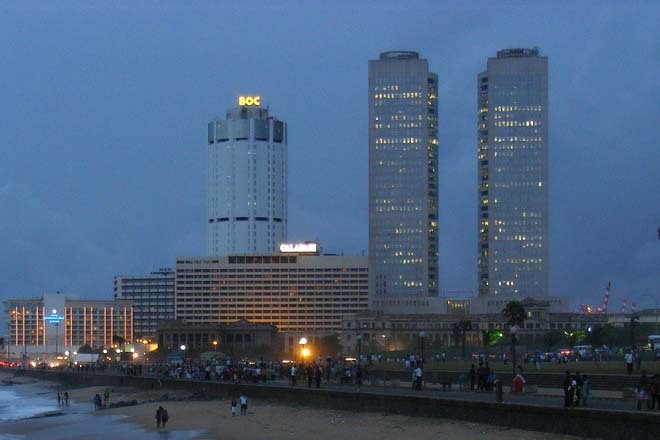 Apr 28, 2016 (LBO) – Sri Lanka’s economic growth is projected to gain further momentum, at 5.4 percent in 2016 and 5.9 percent in 2017, newly released 2016 UNESCAP report said. The United Nations Economic and Social Commission for Asia and the Pacific (UNESCAP) report further said private consumption in Sri Lanka will likely remain the key growth driver amid greater urbanization and rising demand for housing. As per the report, one immediate policy challenge is to ensure a strong fiscal position and debt sustainability. Public debt reached 72 percent of GDP in 2014. The 2016 budget suggests that the fiscal deficit would remain large at 5.9 percent of GDP. The fiscal shortfall is due to both limited revenue collection, with the tax revenue-to-GDP ratio having been only 10.2 percent in 2014, and the country’s large expenditure burden. The report highlights that unless tax reforms and expenditure rationalization are implemented, fiscal conditions are unlikely to improve significantly. UNESCAP also points out that one of the medium-term challenges is to transform Sri Lanka into a competitive export-led economy. To achieve this, the report recommends the Government to foster public-private partnerships and promoted liberalization of the services sector. “The need to enhance labour skills, diversify export markets, restructure loss-making State-owned enterprises and reduce infrastructure deficiencies will remain important,” the report said. The report also highlights that youth employment in Sri Lanka is 10 times higher than overall employment, the largest difference in the Asia-Pacific region.